If no one knows you or your product, then you are totally out of the running for their business. Building a first class reputation for your product and getting the word out about it are two essential steps to having a successful business. The right branding can motivate customers into becoming your best salespeople. In this first of five articles you’ll begin to learn about navigating through the five stages of branding. No matter how wonderful your business or product, without strong branding it is just one in a sea of millions. Branding is all about what sets you apart from your competition and gives consumers a reason to choose you. It is what your customers and prospects think and say about you and your company. It may be very different from your selling message and, if it is, you’ll want to consider that very carefully. You might be missing out on the true big idea or need to correct something that your customers don’t think is working. The objective of branding is to go from an unknown to someone or something with a great reputation and track record. You want your business to be one that customers praise to everyone with whom they come in contact. It’s not always a simple process but can be done by just about anyone. The big problem is that almost all businesses never get out of stage one, Brand Absence. 1. 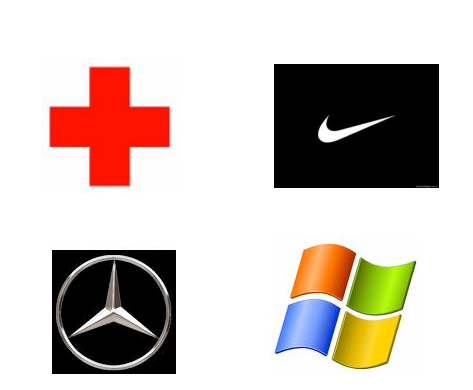 Brand Absence — About 99% of all businesses live at this level. There may be a dozen reasons why customers should choose to work with or buy from one of those 99% but no one knows what they are. Business people who only use their own name as their company name are usually the most disadvantaged in the regard. You could call them the “a” brands — a plumber, a lawyer, etc. Bill Smith Electrician, for example, has no branding whatsoever and is seen as interchangeable with any other electrician. 2. Brand Awareness — This is a step up from absence and a good thing, but it is not going to make your business a money-making superstar. Just knowing that your business exists is not enough motivation to buy from you. For example, you may have heard of Rolls Royce or Mercedes Benz but not buy either of them simply because you don’t know what makes them special. 3. Brand Preference — On a scale of one to ten, brand awareness is a two and brand preference a three. While the customer knows good things about you, that doesn’t mean you’ll always get his business. Let’s use laundry detergent as an example. If a consumer steps into the grocery aisle and your brand is sitting on the shelf, all is well and good. However, if the store is out of stock, the person is likely to buy another brand. At brand preference, you are still not important enough for someone to get back into his car and drive across town to get your product. 4. Brand Insistence — This is the beginning of a beautiful relationship between you and your potential customer. At this stage, people absolutely love your product. Just imagine an iPad or an Apple computer customer buying a PC; it’s just not going to happen. 5. Brand Advocacy — This stage is your home run. Not only do customers insist on having your product, they rave about it to anyone who will listen. They are your best salespeople, free advertising and a testimonial all rolled up in one. © 2019 The Raymond Aaron Group. All Rights Reserved.